Get your dog microchipped as you must make sure your dog is fitted with a microchip by the time it’s 8 weeks old. Who can microchip your dog? After the 6th of April 2016 all dogs located in England and Wales must be micro chipped by the time their 8 weeks old. We can microchip your dog as we are trained professionals working to the guidelines and requirements for the dogs safety and well being. A microchip is a minute electronic device equaling the size of a grain of rice that is implanted under your dogs skin. 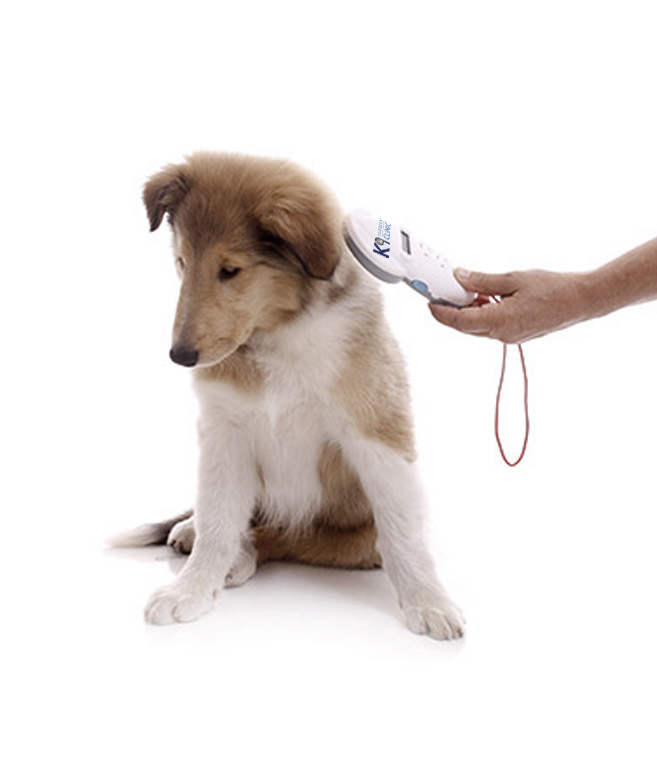 Your dog’s microchip will be given a number and this is what is unique to your dog so whenever your dog is scanned this is the number that will identify your dog. When we microchip your dog will also take your contact details which are kept alongside the microchip number in the database. These contact details can then be used to identify your dog if they are lost or stolen and can therefore be returned to yourself. You’re responsible for keeping your dog’s microchip information up to date, for example if you move house. Contact the database company your dog is registered with to update any of your details. You can be fined up to £500 if your dog is registered on a database that isn’t an officially approved list.